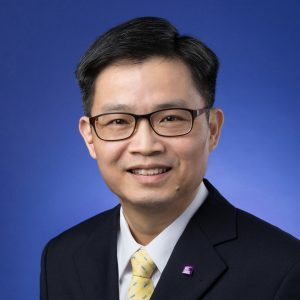 Dr. David Chow received his bachelor’s degree in Economics from The Chinese University of Hong Kong (CUHK) in 1990, and PhD in Economics from Texas A&M University in 1999. He was Lecturer in CUHK Business School from 1998-2004, and Senior Lecturer since 2004. He teaches micro- and macro- economics, business statistics, international economics, and general education courses. He has published several books on general economics. In recent years, he has worked with the Education Bureau to publish teaching cases on various economic policies, and to conduct workshops to share experiences on the use of multimedia resources in lessons. Lap-kei Chow, Michael Ka-yiu Fung, and Fred Kei-tat Ku (2013) , 宏觀經濟 82 條.
Michael Ka-yiu Fung, Lap-kei Chow, and Pui Hang Wong (2011), 經濟@大學站 – 微觀篇. Michael Ka-yiu Fung, Lap-kei Chow, and Pui Hang Wong (2011), 經濟@大學站 – 宏觀篇. Michael Ka-yiu Fung and Lap-kei Chow (2006), 實用經濟名詞90條.